The following patient from Norway underwent FUE hair transplant surgery with Solace in May of 2017. After receiving 2,328 grafts in a single surgery, you can clearly see that this patient’s results are nothing less than incredible. 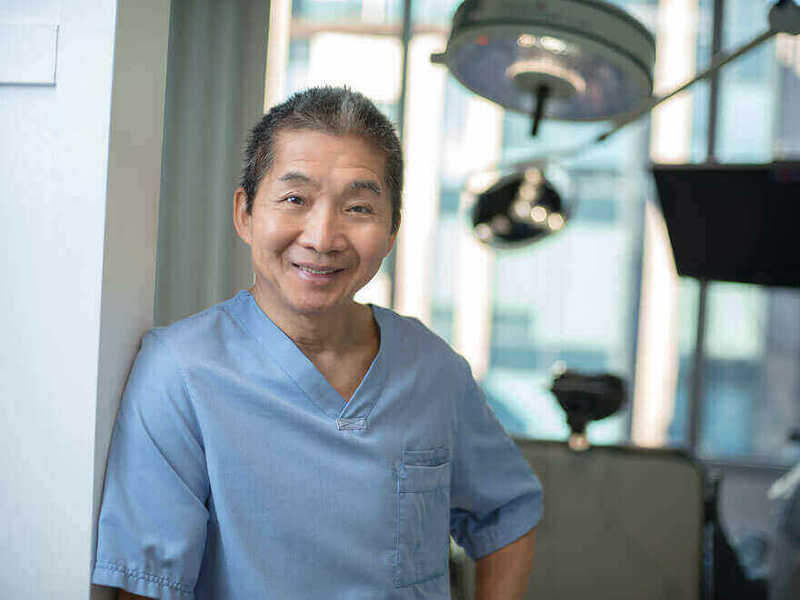 In his own words, this patient describes how his hair loss had an effect on his overall confidence, he talks about his investigative process into hair transplant surgery and ultimately, his decision to proceed with surgery with Solace. This is the story about my suffering from hair loss to finding Solace, which saved my confidence, my looks and most of all, my life. When I first noticed my hair loss and how I felt I today realize that my hair loss must have started when I was 18-19 years of age. Before this, I had such beautiful hair. I guess in the beginning it was alright with a little bit thinning cause my hair was so dense that I would work hard to change it for a new hairstyle. When I noticed that my hair was thinning more than what I desired, I first consulted a local hair transplant clinic 20 years of age ( I felt this was not the right decision due to their result and that my hair loss was not that bad at this point). Instead I started with special vitamins/minerals for hair loss (Arcon Tissane)- kept on going with this. Then at 23-25 of age more hair loss was visible, especially in the temples. I thought it was due to stress so at age 25 I applied acupuncture, zone therapy, massage , homeopathic, vitamins and minerals. The hair loss stopped for 2 years, it felt like my hair was improving. When I became 27 years of age I felt the temples were receding and the hairline was thinning again. I tried hair treatment which was supposed to be without side effects, meaning herbal treatment at a Norwegian clinic claiming they would stop hair loss and reverse the hair cycle to new growth. So much money , so little effect. What they did was only keeping alive hairs which were not yet dead and made them stronger. The results was minimal effect. From 27- 30 my hair was slowly thinning all the time. I got more and more frustrated. At 28 years of age I contacted the owners/employers of the most known hair transplantation clinics in Norway, which are based in Oslo. The owner said the clinic could do the hair transplant and they would transplant around 2500-2600 grafts . I felt that was a solution, but I had to undergo at least 2 operations to get there – then everybody would know that I had taken one. I was also skeptical when I saw one of the employees there who had undergone a hair transplant. It did not look like doll hair but it did not look 100% natural either. When I became 29 years old my hair loss was so bad that I had to wear a cap at daylight all the time. I was enormously stressed at the time so I contacted the Norwegian hair transplant clinic performing herbal treatment again really hoping they could save my hair. That was the a terrible decision. I started the herbal treatment( similar to regenix) This made me practically bald. I got a new job at that time so this was so stressful. Not a million words can express all the destructive feelings related to what happened. I contacted the Norwegian health organization and lawyer was brought in. The clinic wanted to pay me half of the money back, but I considered that as an insult and a confirmation that they knew they screwed up. Their lawyer call me to try to pay me so that I would never talk about the case again(btw their marketing was claiming they had no side effect in respect of the Transplant cause it was a natural treatment – After this coincidence they removed the headline «natural treatment without side effects). Half a year later at age 30 and a half, I was now so frustrated and I went back to the most known hair surgery clinic in the capital of Norway, Oslo. 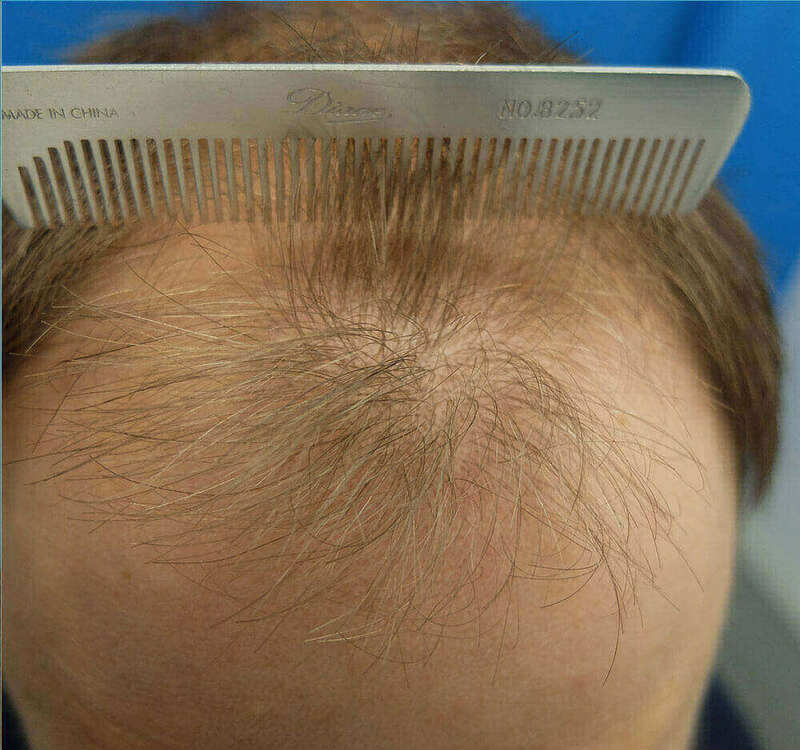 They now said I needed around 3300 grafts but it would take 3 operations ( 3 year until the final result) The advisor also said I also would have to live with a little bald crown on the top. So at this time I was thinking, whats the deal, you don`t ask somebody to make a surgery if you cannot fix the problem. I had no hope. But then something came across. I knew about Solace since 2016, but as most people out there I was skeptical due to all I had experienced and due to all the sales people out there. So many questions came to my mind… can they deliver, are they reliable, consistent, is it safe and will it look natural. From all the research about hair transplantation clinics I had done which counts probably 100-300 hours of efficient work I decided to book a free consultation with David Anderson in London summer 2014. Doctor came up as the most reliable and successful clinic from all the research. I was 30, turning 31 years old. I had so many questions and David gave me realistic feedback to what I could expect. I first believed I could get the perfect hair back, and I realized that there is no such thing as the perfect hair after talking to David. After seeing the final result David might have been a little bit too conservative telling me what I could expect which actually was a wise choice from him. Was I happy about the situation being 90% bald? Could I live with this mentally and physically? For me this was very difficult because my hair was my identity and with the hair followed my self confidence. I think this a typical male issue. I was depressed, and at the time without a job so it was the perfect time to do the hairtransplatation. David had even suggested that I shave my head during this time of indecision. I took his advice and I was happier with the shaved head rather than thin hair I still wanted hair that I could style so I decided that its now or never. So I booked a hair transplant at Solace in Vancouver, Canada spring 2015. When I arrived the clinic in may 2015 the staff showed me extraordinary service. David had already explained how much I suffered from hair loss. I talked with Doctor the day before the surgery. We went through what he was going to do, the expectation, hair loss history and a lot of other questions. I felt a kind of relief I hadn’t felt for over a decade, the time I didn’t suffer from hair loss. I still remember Doctor's final words under the consultation: ‘You will be fine, you will be just fine!’. Then he drew my hairline and went through questions related to the operation. The staff and Doctors gave me the feeling that I was at the right place. The day of the operation I arrived 06.00 am at the clinic. I was taken care of by some really nice girls before doctor arrived around half an hour later. The skills of Doctor was remarkable. I remember he just draw the hairline exactly as he did the day before with his hand. Then I got some medication to be sure that I would not get any infection or become stressed. The operation was going on for 15 hours. Some breaks. I felt so happy, it was I beautiful day I remember I felt it was a turning point in my life. 10 years of suffering was over. I had felt so much lack of confidence due to my hair loss and now a new world was opening for me. After the surgery I had to wait for my new hair to grow. I was told to be patient because it really takes at least 3 months before the new hairs would come through. I felt so relieved and happy right after the operation although I knew it would take some time before the hair would grow I was excited. When I was back in Norway about 2 weeks after the operation I felt happy. I had to be patient but just knowing that it would come out made me curious about how it would look like. Would it be worse or better than expected? Would I become happy? I could also see that a lot of the redness was better and my scalp was looking so much better. At the 1 month my scalp and the redness looked even better. I now went through shock loss which means the new hair had fallen of my head again. I knew this was the procedure. Although my scalp didn’t look good yet I knew that it was just the beginning. Month 2 there was less redness, my scalp and head looked better. Between month 3 and month 4 there was some changes. I started to get some new hairs appearing. I remember I was excited. Would it continue, would it look good in the end was some of my thoughts. In month 5 the rise of the new hair was on fire. I could see significant changes and my hair density increased rapidly. I started feeling more happy. But at this point, I thought that this was the end of it. Other friends thought all the hairs had come out. It was far from the truth. Month 6 to 7 the new hair growth continued. I had so much hair now. At this stage I realized I was back to were I was 10 years ago. I was so happy. The 8 month all the hairs had come out and the result was fantastic. I could not believe that there was more to come. I said to myself 95-99% of the process has probably finished. But I was wrong. Today I am between month 10 and 11 and I now have a full head of hair which is quite dense. Even more than I expected. I guess advisor David Anderson and Doctor did their best to keep the expectation as realistic and conservative as possible. I have to say, they did a fantastic job. After seeing the hair grow month by month I often felt so full of energy, so happy seeing changes. Every month I have seen denser and denser hair, something which was totally new for me cause I was getting thinner and thinner hair for 12-13 years. Many mornings when I get out of bed I am still amazed that I have so much hair. And best of all, a such natural beautiful hair. All the time throughout this journey the advisor/consultatant David Anderson has helped me through the weeks and months. If I ever wondered about something related to the surgery, post surgery, feelings related or treatment David was there following up by e-mails and Skype calls. I have never experienced a so high class of service and a guy so helpful. Now 10 and a half months after the surgery I feel my life is heading in a new direction. I haven`t felt like this for many years. I don`t have a complex about my hair anymore and I feel great, happy and full of self confidence. I would like to say thank you to the staff of Solace for being taken care of as a special person. You showed me service of first class. I am so happy I met David Anderson in London summer 2014 and that he was so patient with me. He did a absolutely top job and I think the clients who meet him are lucky. Thank you David, hope to see you in Norway one day. I will take this opportunity to thank Doctor which I am very grateful to. Doctor saved the quality of my life. He took away my depression due to hair loss and made me look like the one I used to be. He made me a new man. I can go on and on here. The most important is that Doctor is a very good human being. He is a first class Doctor of hair restoration. Now I am often thinking thoughts like how was it possible to achieve such a result. The choice of Solace is no doubt the best decision I have ever made.